John Reid & Sons Ltd (REIDsteel) has continued its support for Twynham School and The Grange School through its renewed sponsorship of the Young Chamber programme. 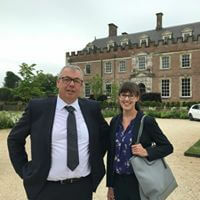 Both of the Christchurch schools were among the first members to join the Dorset Chamber initiative and have now been able to sign up for a second year. Managing Director Simon Boyd said: “It is no secret that the engineering sector is currently facing a skills shortage. 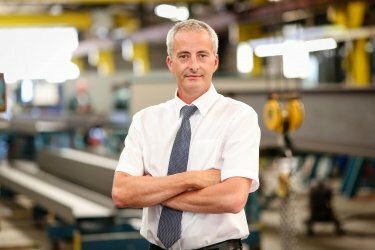 “As a growing business with UK and worldwide projects to deliver, it is imperative that we engage with the next generation of potential engineers, draughtspeople and skilled steel and sheet metal workers, as well as those who will be involved with the managerial and administrative aspects of our organisation. “Young Chamber is one of the programmes we are working with to address this, now. 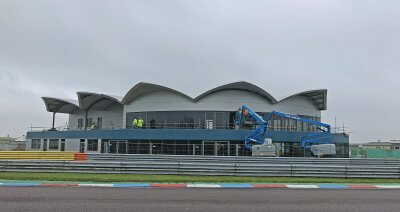 Work is revving up for the completion of a flagship hospitality centre at the iconic Thruxton Motorsports Centre with specialist support from John Reid & Son Ltd (REIDsteel). 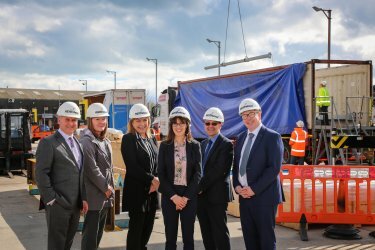 The state-of-the-art complex in Hampshire will include a restaurant, bar, exhibition gallery, function rooms, hospitality suites, catering facilities, viewing terraces and a balcony. We’ve designed, manufactured and supplied all of the steelwork, cladding and glazing for the modern, two-storey building alongside local contractor Mata Construction. Project architect is the Chapman Partnership, which specialises in the motorsport and automotive, leisure and entertainment industries. The £1.5m centre’s innovative design includes a grand atrium and entrance lobby to reflect the dynamism of motorsport and Thruxton’s rich heritage. REIDsteel Project Engineer Toby Hill-Cousins, said: “Thruxton wanted an innovative and modern hospitality centre to reflect its status as one of the most iconic motorsport and leisure venues in the UK. A multi-million dollar civic centre constructed from prefabricated steel sections manufactured 5,000 miles away at REIDsteel is set to open in the heart of Belize City. REIDsteel has performed the structural design, detailing and fabrication, including the cladding and glazing for the landmark project in the Central American country. We’re aiming to play a major role in the reconstruction of hurricane hit communities in the Caribbean with our disaster-resistant buildings. We have designed, manufactured and supplied hundreds of buildings in the Caribbean and Central America over the past century, including churches, granaries, schools, industrial units, aircraft hangars and bridges. 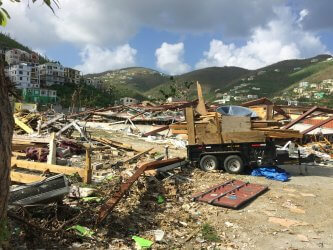 Our Sales Manager Mike Chappell has recently returned from a fact-finding trip to the British Virgin Islands and Antigua where he saw the devastation first hand. Mike met business and community leaders as well as government ministers. His visit came after virtually all of REIDsteel’s structures – including warehouses, supermarkets and banks – survived hurricanes Harvey and Irma, which hit at speeds of more than 200 mph. Only one of our many buildings had suffered minor structural damage as a consequence of the hurricanes. We’ve has been called in because of our expertise and strong relationships built with communities and businesses over many years. Congratulations to UK Exporter of the Year AGI Ltd! 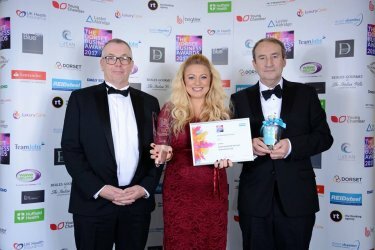 Well done to Aeronautical & General Instruments Limited (AGI) of Poole for winning the UK Exporter of the Year title at the Dorset Business Awards. Our Managing Director Simon Boyd presented the award at a gala dinner and ceremony at the Bournemouth International Centre. More than 700 guests watched as Simon announced AGI as the winners live on stage. They narrowly beat fellow finalists Actisense and Trimetals to the title. The UK Exporter of the Year Award was new for this year’s Dorset Business Awards. As a successful exporter to more than 140 countries over nearly a century, we felt it was important to recognise and encourage other Dorset firms involved in international trade. AGI were worthy winners and we hope more businesses will be inspired to expand their horizons and look to the many exciting trade opportunities in growing economies across the world. Our Managing Director Simon is pictured (left) with Sarah Short and Geof Eeles of AGI with their award at the ceremony.